This is a simple 4-pack of momentary, multicolor buttons, great for all sorts of projects! Unlike previous iterations of multicolor buttons, this pack's tactile switches are actually recessed into the housing so they don't accidentally fall off during use. 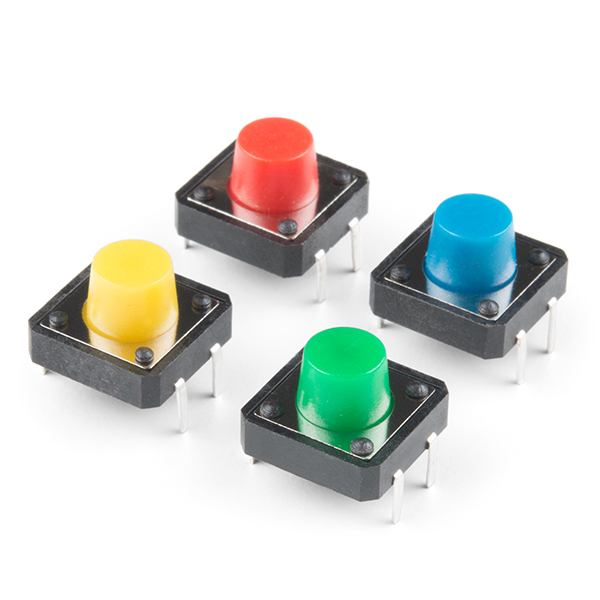 Each pack comes with one red button, one blue button, one yellow button and one green button. 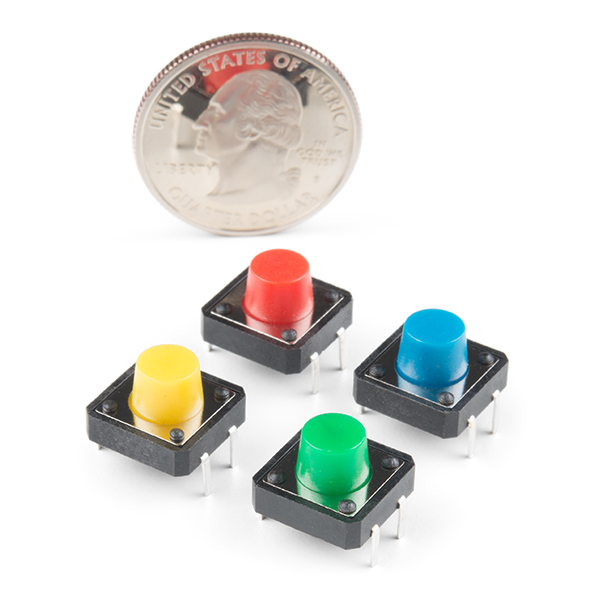 These are the same buttons included in the SparkFun Inventor's Kit v4.0. We loved them so much we had to include them in our favorite kit!